Also known as Duck potato and Wapato, the tubers should be collected from late Summer through early Spring. Though edible without cooking, they are much better cooked like potatoes. They can also be dried and ground as flour. 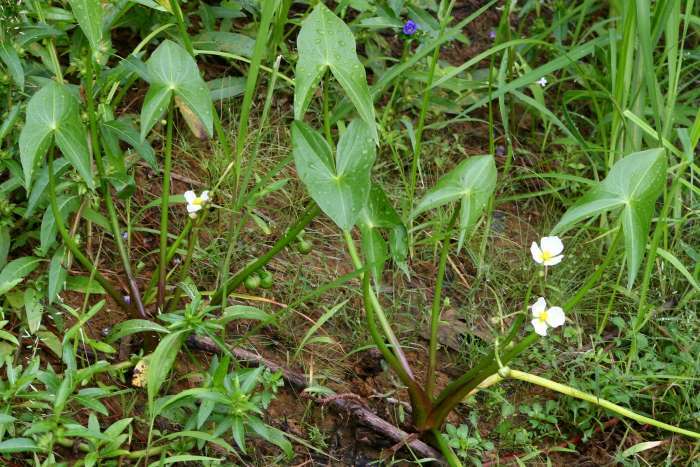 This plant has been an important food source for the indigenous peoples of the Americas. When flowers are fully open, pick whole clusters or shake the petals off old flowers; when fruit is deep purple, pick whole clusters or strip berries from bush. Dip flower cluster in batter and deep fry then dust with sugar and sprinkle with orange juice. Or, add flower clusters to pancake batter. Extract juice from berries by simmering 1 quart of mashed berries with 1 cup of water for 20 - 25 minutes; strain through cloth. Fresh fruit has bad flavor which improves through drying; use dried fruit in pies or bread. Use flowers and fruit for making elderberry wine. NOTE: Roots, stems, leaves and unripe berries are toxic. 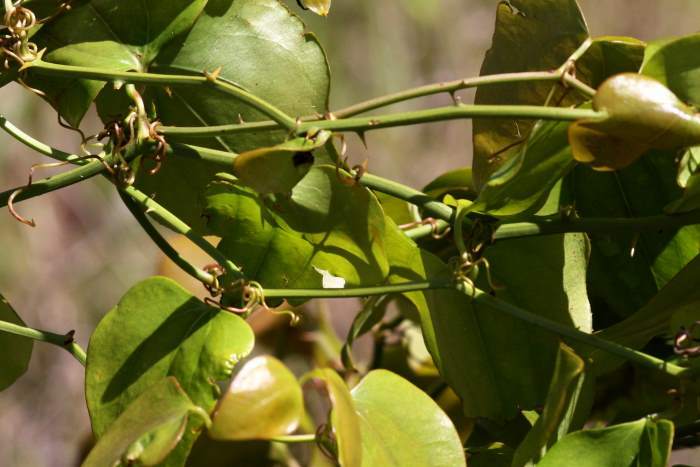 Leaves and inner bark can be used as insecticide and dye. Harvest new shoots, growing tips, tendrils, and uncurling leaves while still crisp and tender during Spring and Summer. Can be used as trail nibble, in salads Shoots can be bundled and boiled like asparagus; leaves and tendrils can be boiled like spinach. Also dig and clean tuberous roots; these can be made into a jelly, sweetened for a drink, or dried and ground into flour; a Jamaican species is used for making Sarsaparilla and some root beers as well as medicinally. 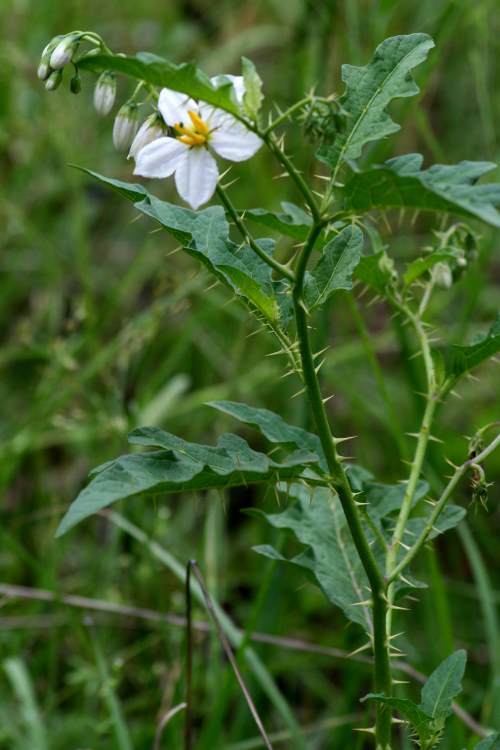 This is a member of the (deadly) nightshade family and, like most of its cousins, is poisonous. 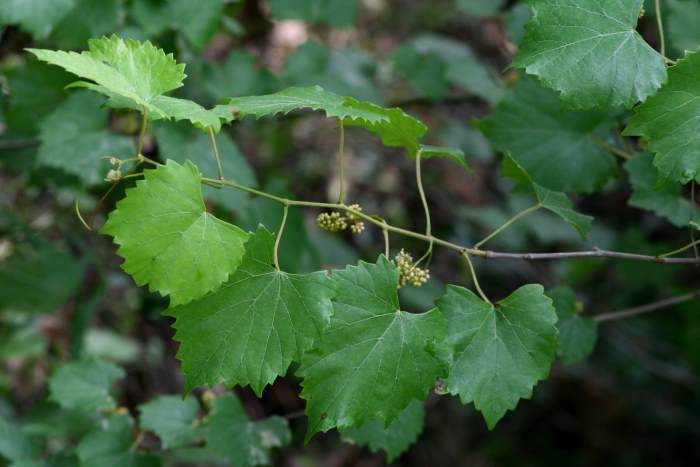 Aside from being wickedly scratchy because of the thorns, the leaves and fruits contain the alkaloid solanine which can cause vomiting, nausea, abdominal pains and other gastrointestinal problems - and death. The mature fruits is cooked by herb doctors for use as a sedative or antispasmodic. Another species of this genus, Solanum ptychanthum (Common Nightshade), has fruits that are not poisonous and are eaten by birds. The appearance between the two, particularly the flowers, is similar. Both are found regularly in this area, though Horse Nettle is somewhat more common. Pick tender leaves and stems from young plants any time they are not blooming. Use raw in green salads or cook with other greens. 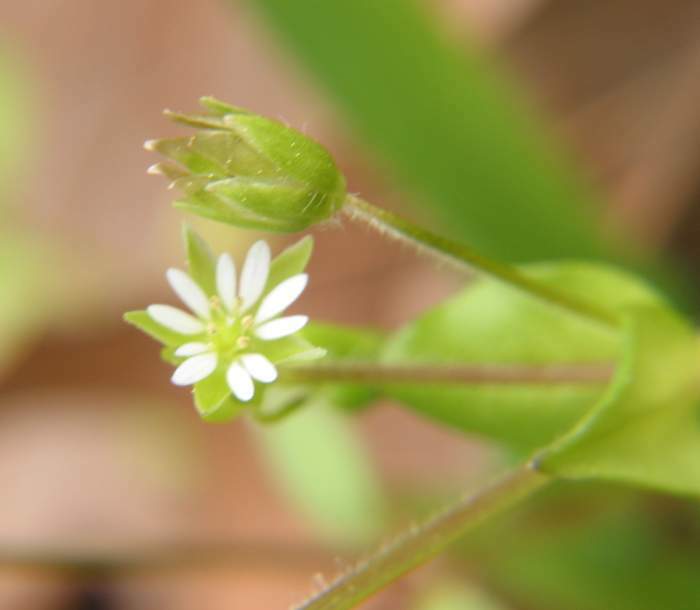 In folk medicine it was recommended in the 17th century as a remedy for mange. 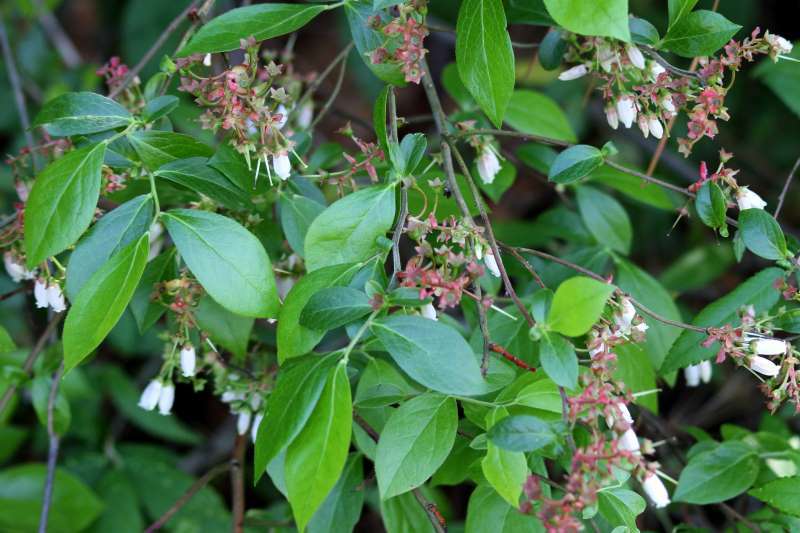 Modern herbalists prescribe it for bronchitis, rheumatic pains, arthritis, menstrual pain, and skin diseases including applying a poultice to cuts, burns and bruises. 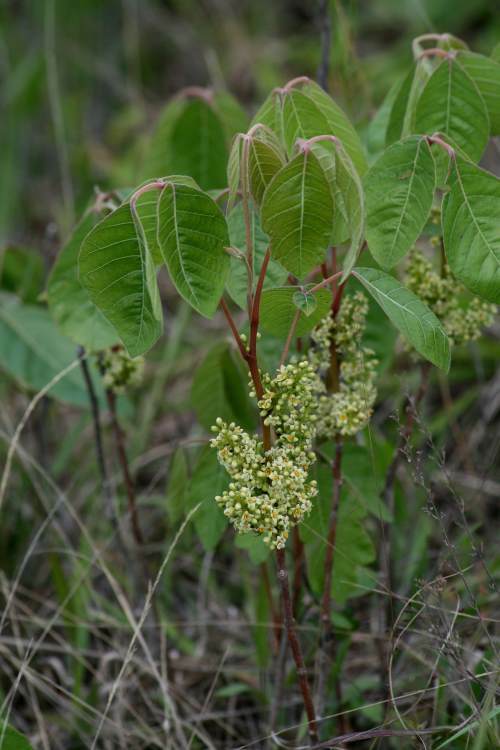 For all practical purposes, the effects of this plant are like those of its close relative - Poison Ivy. See the information for Poison Ivy immediately below. 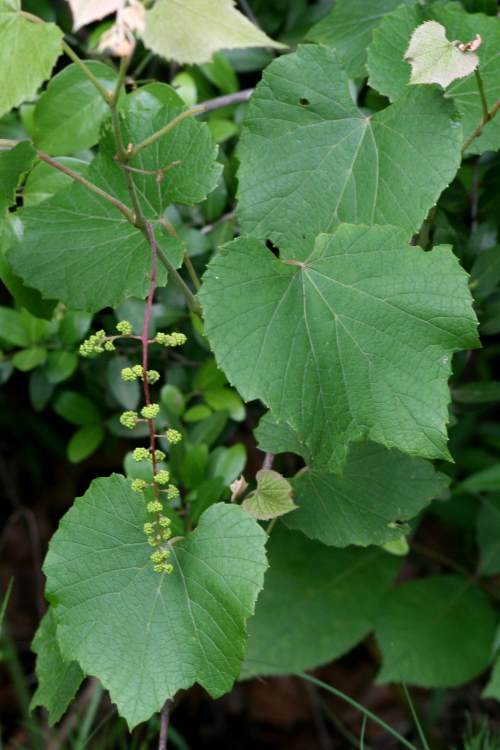 All parts of the plant have an oily resin containing urushiol; contact can cause dermatitis, rash, and blisters. Eating berries or breathing the smoke from burning the plants can also cause severe problems in the mouth, throat, and nasal passages. Cutting poison ivy with a weed eater serves to spread the plant parts around and onto the person doing the cutting; obviously, this has the potential for problems. 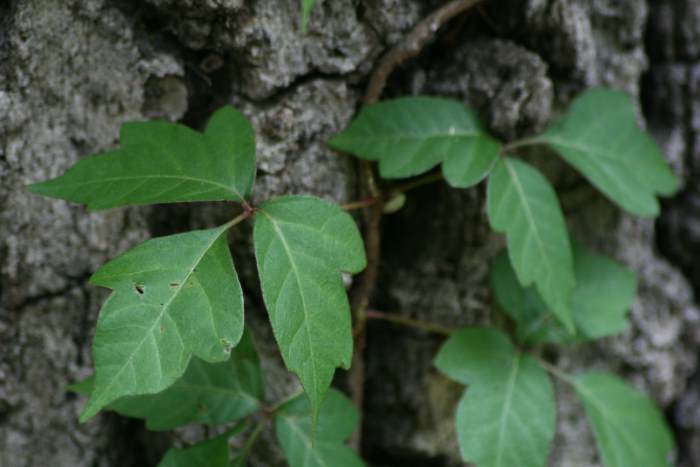 Between 15% - 30% of people seem to have no reaction to poison ivy, though most people will eventually become sensitized to it with repeated or concentrated exposures. For those who are hypersensitive to allergens (anaphylaxis) it is possible to die from exposure. In early Spring, dig up roots to locate small, pointed dormant sprouts at ends of roots; these are edible raw or cooked. 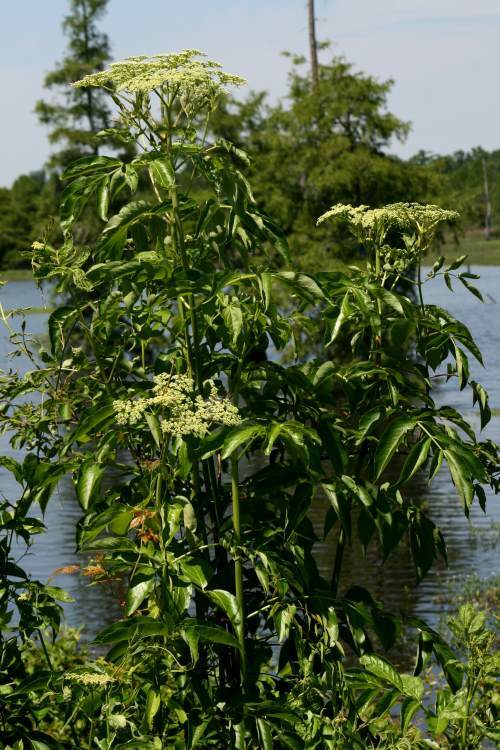 Later and until plants are 2 - 3 feet tall, grasp leafy stalks at base below water line and pull straight up, typically breaking them off from roots. Peel away the tough, leafy layers to the tender core, usually up to about 1/2 inch in diameter and up to 12 inches long. Called "Cossack asparagus", this can be eaten raw like celery or sliced into a salad; cores may also be boiled and served seasoned with butter and other garnishes according to your taste. Pick the green bloom spikes while in their sheaths and before the pollen above them ripens; remove the sheaths and boil the spikes until tender and eat like corn on the cob. 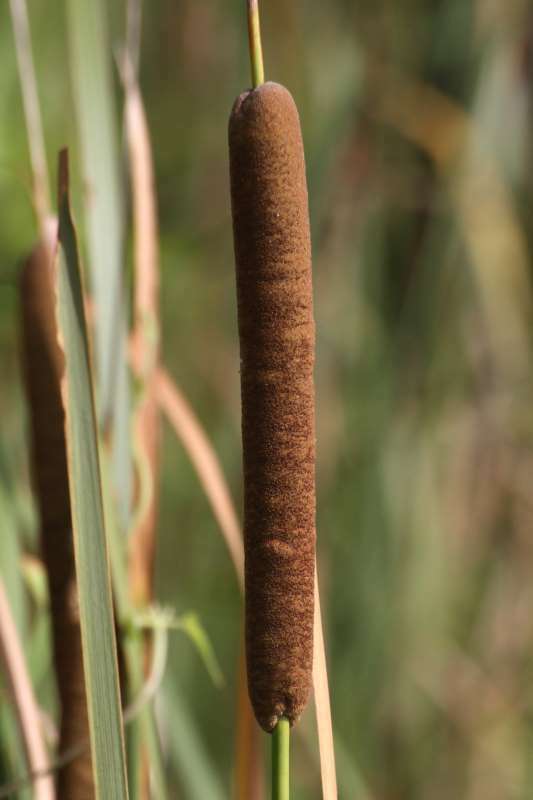 NOTE: Since cattails are used as a bioremediator to absorb water pollutants, you should only use cattails from clean, non-polluted water; bitter or very spicy taste tends to indicate they have absorbed pollutants. Domesticated blueberries are selections of this species; wild blueberries that are sold commercially are typically from the species Vaccinium angustifolium (Velvet-leaved Blueberry) that is a later, sweeter blueberry. Blueberries and cranberries are very closely related. The berries are great for pies, muffins, and jelly though this species in the wild typically produces berries that are somewhat acidic for eating. 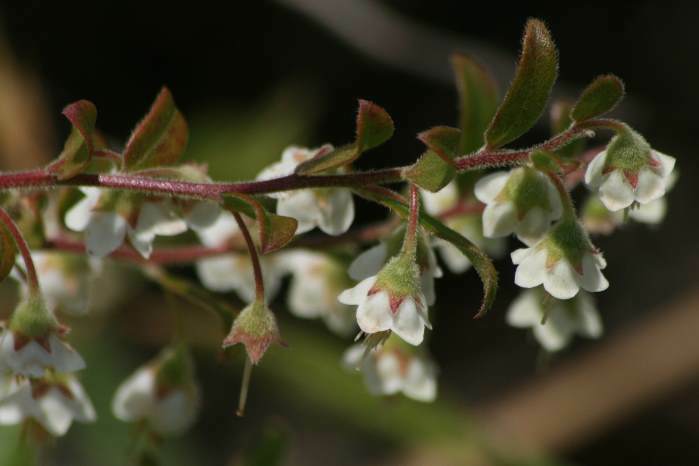 Closely related to domesticated blueberries, the Deerberries are edible. They are an important food source for wildlife including wild turkeys, quail, rodents and, as implied by the name, deer. Gather leaves in Spring when young and tender - but full grown. Boil the leaves until tender and serve with other vegetables; check for recipes for stuffed grape leaves. Collect grapes late Summer through Autumn. While most wild grapes are too acidic to eat straight from the vine they are useful for juice, jelly, preserves, pie and wine. SEE: Mustang Grape - above.